tGard is the new innovative approach to controlling access to hazardous machinery and equipment. 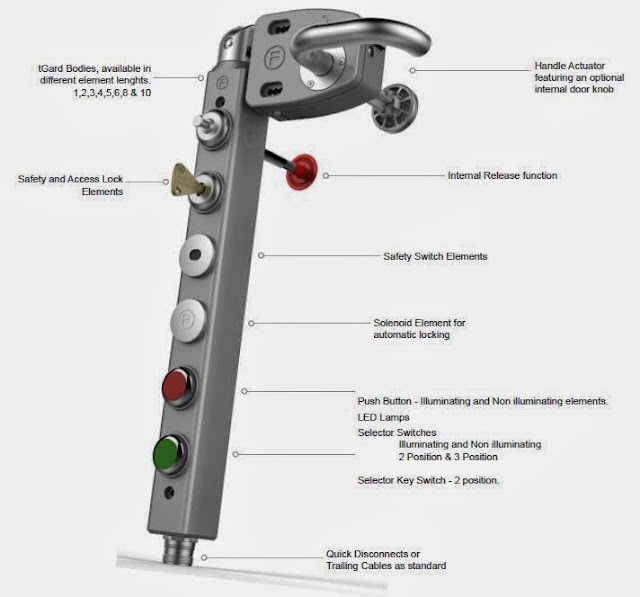 It is a compact metal body system that enables the configuration of various safety products including electrical safety gate switches, mechanical trapped key interlocks, and electrical operator controls, either a separate devices or integrated in one device. 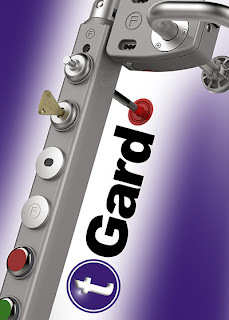 tGard offers a customized safety solutions as standard and defined by a range of tGard elements including selector switches, safety switches, solenoid switches, trapped key systems, emergency release, push buttons, E-stops, indicator lamps and a choice of operating handles. These elements are selected and then assembled into a robust housing, providing the user with an exact configuration specific to their needs. tGard is quick and easy to install and can be mounted directly onto a flat surface, doors, or extruded aluminum without need for mounting plates or brackets.